It was four hours before Sabina Gurung knew her family was alive. When the Nepal earthquake struck her home country in 2015, Gurung lived in Oklahoma, more than 8,000 miles away from her small family. She finally heard from her mother, but couldn't reach her youngest brother, Atit, and began to panic. Then she got a notification from Facebook's Safety Check feature: He was safe. Since it was created by an intern at a hackathon in 2014, Facebook's Safety Check has been deployed in 28 emergencies around the world. After a disaster, Facebook pushes a message to users in the affected area, and asks them to indicate if they're OK. So far, more than a billion people have been notified after a friend pressed the "I'm Safe" button. 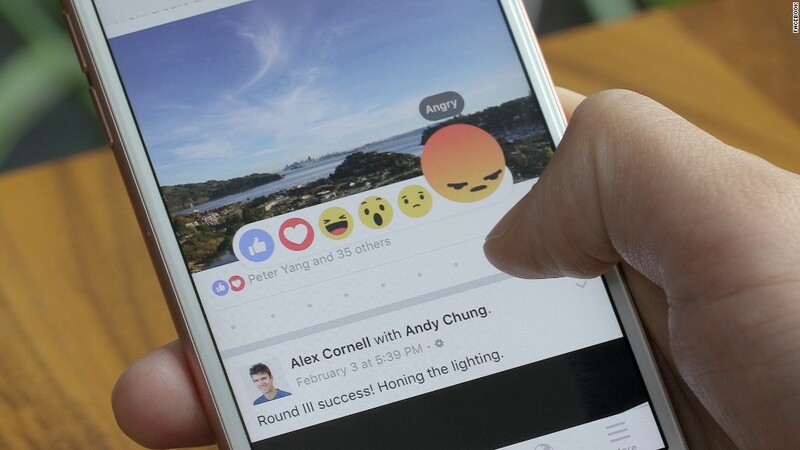 Now Facebook (FB) is exploring ways to take the scrappy tool to the next level. It's building out the infrastructure to better support large emergencies. There's a new internal form that lets Facebook employees turn it on in various languages. Previously, a handful of employees had to be on call around the clock to trigger it manually in code. And in the coming weeks, Facebook is going to test a new feature that lets communities decide for themselves whether or not to turn on Safety Check. After it gets alerts from third-party services about major events around the world, Facebook will look for spikes in conversations about the emergency. It will ask people in the area if they'd like to use Safety Check and let them invite friends they know who are in the vicinity. "We will always have the official Safety Check to turn on, but this is an opportunity to bring the community to the table," said Peter Cottle. Cottle was the intern who originally designed Safety Check, and now serves as the lead engineer for the project. He works on Facebook's 12-person Social Good team, which also designs tools for donating directly to charity on Facebook. With 1.6 billion users around the world, Facebook is in a unique position to connect people immediately after a disaster. UNICEF's Christopher Maddocks says Safety Check provides a critical public service, but it's actually just the first step. The tool's real power can be motivating people and groups to take action. "I think of the use case for the families that are most vulnerable," said Maddocks. "How do we now rapidly get resources to the field, whether that's fundraising tools or empowering humanitarian agencies, to make it that much faster to get aid to people?" A wildfire devastated Fort McMurray, Alberta, in May, leaving thousands of people homeless. That's when Facebook turned on another new feature: After people checked into Safety Check, Facebook showed users suggested groups like those offering safe places to stay and providing relocation help. Safety Check has some obvious limitations. Many emergencies will take down cellular and internet services, and access to phones or computers might be impossible. But so far, outages haven't stopped the tool from being used by millions. On April 16, 2016, a magnitude-7.8 earthquake stuck coastal Ecuador, killing more than 600 people and injuring nearly 28,000. After Facebook activated Safety Check in the area, at least 3 million people marked themselves as safe. After the Paris terror attack in November 2015, Gurung used Safety Check again to see that her best friend was safe. The feature is becoming a reality for many people like Gurung, who live far from loved ones. "Being so far makes you feel helpless and want to be with your family," said Gurung. "It was definitely a sense of peace in my heart during the time of crisis."